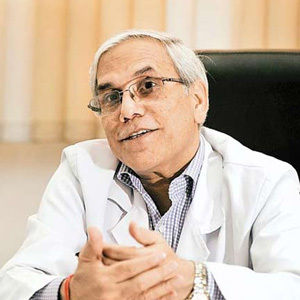 Dr Misra took charge as director in year 2013, culminating in a long career in the hospital. He joined AIIMS as senior resident (general surgery) in 1980, was appointed professor and head of the AIIMS surgery department in 1993 and chief of the JPN Apex Trauma Centre in 2006. In 1996, he was honored with the Dr B C Roy National Award of the Medical Council of India (MCI) for developing the specialty of minimally invasive surgery in the country. He received the award from the President of India.